Maddux, Glavine And Thomas Going To Baseball Hall Of Fame : The Two-Way The results are in and the honors go to former Atlanta Braves pitchers Greg Maddux and Tom Glavine as well as slugger Frank Thomas. He's the first Hall of Famer who mostly served as a designated hitter. At the Baseball Hall of Fame in Cooperstown, N.Y., a young fan reads about the game's greats. Two great pitchers from the Atlanta Braves and one great slugger who spent many of his best years with the Chicago White Sox are the newest additions to baseball's Hall of Fame. 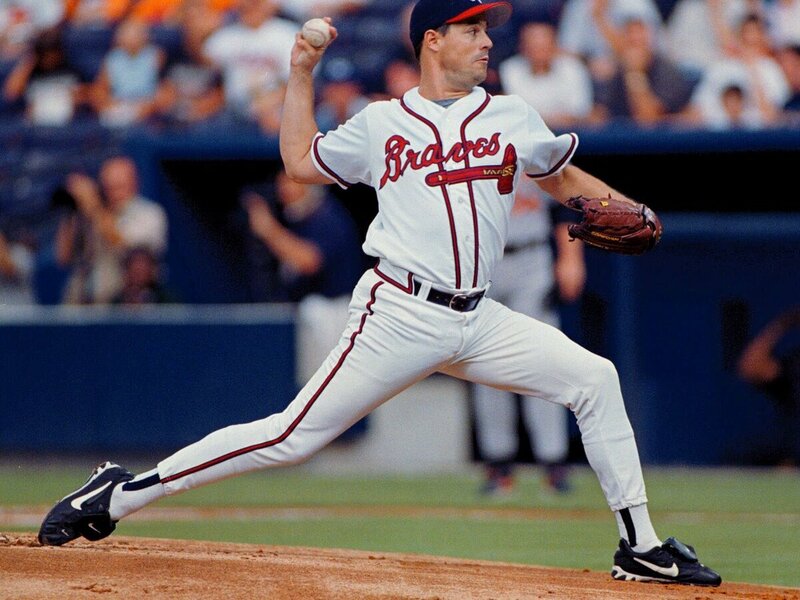 Atlanta Braves starting pitcher Greg Maddux delivers to a Baltimore Orioles batter at Turner Field in Atlanta in 1999. -- Frank Thomas, who played for Oakland and Toronto as well as the White Sox. He's the first player who spent most of his career as a designated hitter to be put in the Hall of Fame. Craig Biggio, who spent his career with the Houston Astros, just missed. He was named on 74.8 percent of the ballots cast by baseball writers. It takes 75 percent to get into the hall. The lingering effects of the steroids era continued to be felt. Former superstar Barry Bonds, who was named on 36.2 percent of the ballots last year, was on only 34.7 percent this time around. Pitcher Roger Clemens' vote also went down slightly. Maddux was named on 97.2 percent of the more than 500 writers' ballots. Glavine was on 91.9 percent. Thomas was on 83.7 percent. 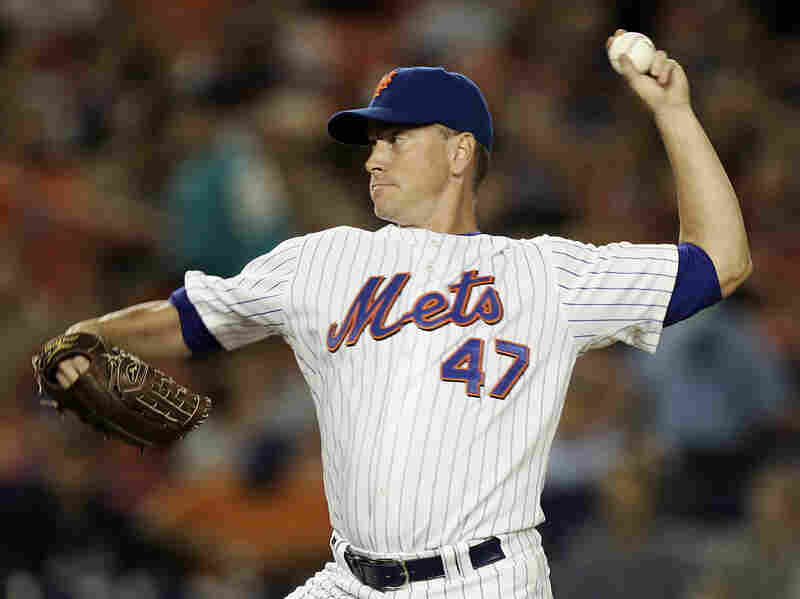 New York Mets pitcher Tom Glavine during a 2007 game against the Philadelphia Phillies at Shea Stadium in New York. OK, seamheads and others who enjoy baseball, this one's for you. 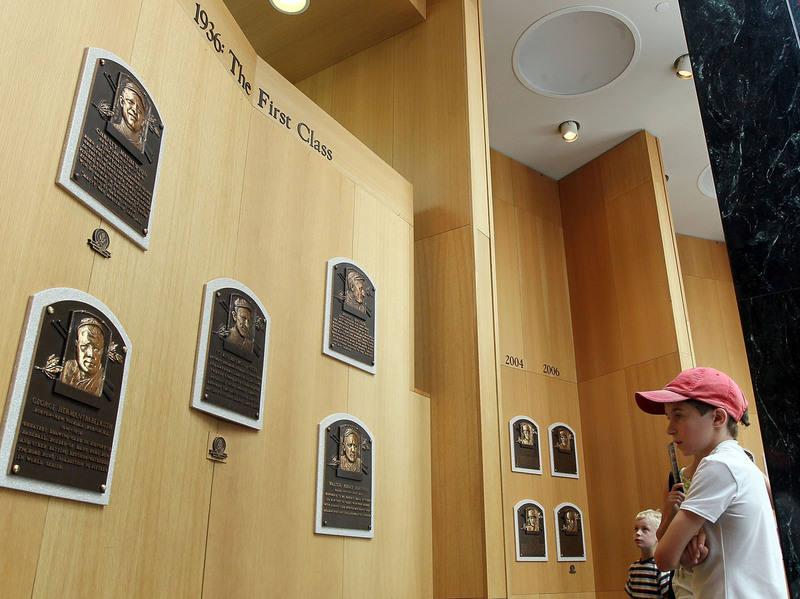 The 2014 Baseball Hall of Fame inductees are due to be announced at 2 p.m. ET. 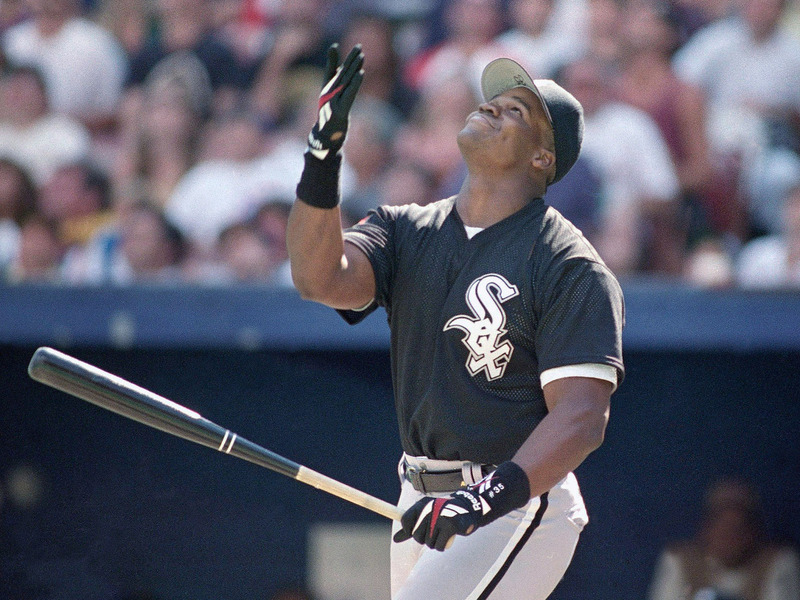 Frank Thomas of the Chicago White Sox reacts during a home run derby at Three Rivers Stadium in Pittsburgh, in 1994. -- 99.5 percent said they had voted for Maddux. -- 95.4 percent said they had voted for Glavine (who spent part of his career with the New York Mets). -- 89.7 percent said they had voted for former Chicago White Sox slugger Frank Thomas (who had short stints with Oakland and Toronto). -- 78.4 percent said they had voted for Craig Biggio, who spent his career with the Houston Astros. To make it into the hall, a retired player's name must be checked on at least 75 percent of the writers' ballots. Writers may vote for up to 10 players. There are 36 names on this year's ballot. You can read more about the rules here. None of the other names on this year's list had more than 75 percent of the votes in BaseballThinkFactory's early results. Those who were at least above the 50 percent line: catcher Mike Piazza, who gained his fame with the New York Mets; pitcher Jack Morris, who spent most of his career in Detroit; Astros first baseman Jeff Bagwell; and fleet-footed outfielder Tim Raines. Once again, none of the former superstars who have been associated with stories about performance enhancing substances — Barry Bonds, Roger Clemens, Mark McGwire and Sammy Sosa — were getting close to 50 percent of the votes. Last year, no player was voted in — a result seen as something of a protest by the baseball writers about how the game was tainted during the so-called steroids era. Biggio came closest. His name was chosen on 68.2 percent of the ballots. Morris' name was ticked on 67.7 percent. This is his last year of eligibility. If he isn't voted in now, the only way Morris can become an inductee is if he's chosen at some later date by the Hall's Veterans Committee. No one, not even Babe Ruth, has ever been a unanimous choice by the writers. We've trimmed the list of names for a question about who Two-Way readers would put into the Hall. Note at 2:10 p.m. ET: Now that official results are in, you can see that Two-Way readers basically agreed with the baseball writers.